Growing up every single Conference we did Conference Bingo and even as teenagers it was a tradition that we continued. 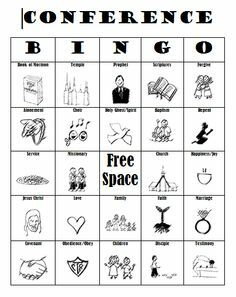 When I became a mom I thought I would keep that same tradition, but I knew with small kids it would have to wait a few years before they could do the Bingo game on their own. So we made up a few things on our own. As the kids were young I would print out coloring pages to bide their time. As they grew we added a few activities, one of my favorites was I made a store and they had money that through-out the two days of conference they would earn money and through a few breaks in conference they could purchase items from the store. Those items were quiet activities to continue using during Conference. There were also treats they could buy as well as other toys. It was a really fun activity. A year ago we did one of my all-time favorites and had a Conference Feast. It was a hit! It is something I continue to do every Spring. I feel like I need more ideas to keep my kids interested in Conference and so I was so excited when I heard about this book Growing up with Conference by Emilee Reynolds, Cassie Lytle, and Tiffany McDaniel. 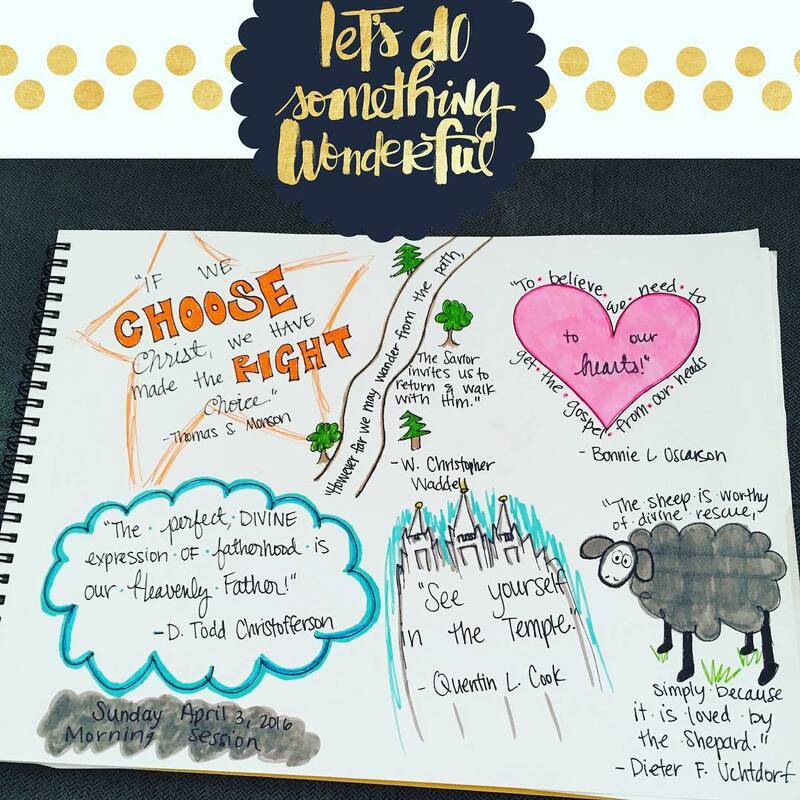 I was intrigued and wanted to learn more ideas and activities to do with my family regarding the LDS General Conference. I started it and read it all in one day. I hightlighted so many activities and wanted to share a few of my favorites that I will definitely try out with my own family. 1. 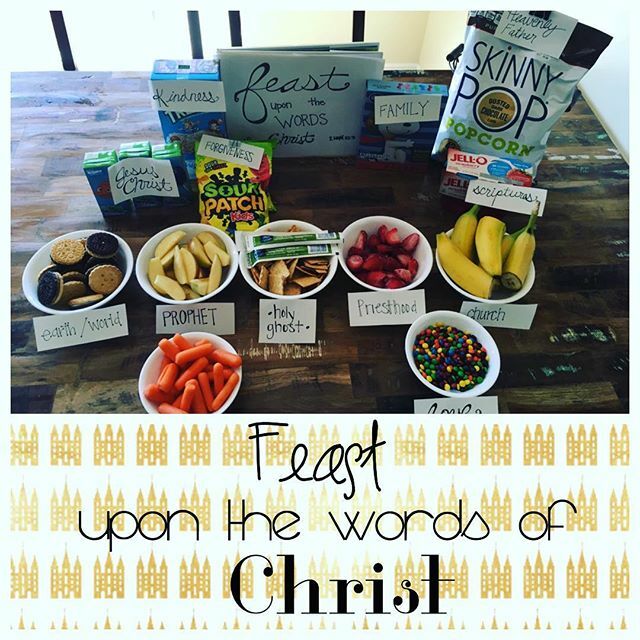 15 days to Conference countdown- I love this because it gets your family excited and in the right spirit before you sit and listen to our prophet and apostles speak. 2. Conference Activity Workbook/Folder- I have done something similar when my kids were younger and the kids loved it! 3. Conference Travel Bag- This is perfect, we are usually in St. George, Utah for the Fall Conference every year and I pack a few things for each kid to bring with them. Similar to a church Sacrament bag. They had great ideas in the book that I will remember for next time. 4. Magnet Tray- I always say that I am going to buy cheap baking trays and make into a magnet trays for my kids for road trips, but I never do. I absolutely love the idea of using it during Conference. I have a church magnet set (Noah’s Ark) That would be perfect for this. 5. Decorate a craft- Why didn’t I think of this? I always do crafts while listening to Conference or podcasts. To let the kids paint or do a craft while listening is perfect. There are so many more ideas in the book, these were just a few of my favorites. LDS General Conference is coming quick, so if you want more ideas for your own family grab a copy of it quick. 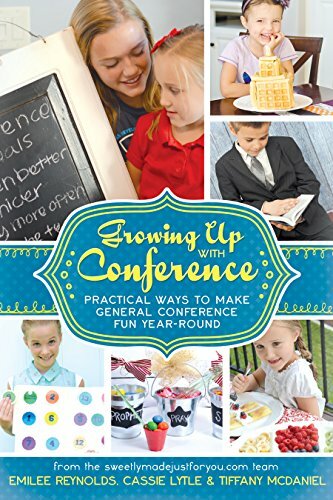 The book also has some great ideas to keep Conference lessons and talks a part of your home throughout the year. Click HERE to find a Kindle version onAmazon. Thank you so much for your wonderful review. Appreciate it so much!